WavTap for Mac records all sound that's coming from your computer and saves it in a WAV file on your desktop. It's an extremely basic app that resides in your Mac menu bar and has no configuration options. In addition to the record functionality, there is also a handy buffer that stores the last 20 seconds worth of audio in case you couldn't start recording in time. Record any sound playing through sound card, microphone, or both. 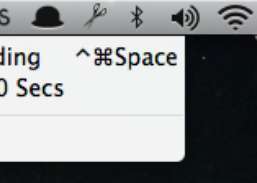 Menu bar item that lets you switch the AirPlay receiver or choose multiple AirPlay receivers.